After a traumatic time in his personal life, Malachi Hunter investigates an aggressive haunting, and finds himself dealing with a dangerous, inhuman entity. The problem escalates, taxing his resolve to the extreme to defend his friends and family. 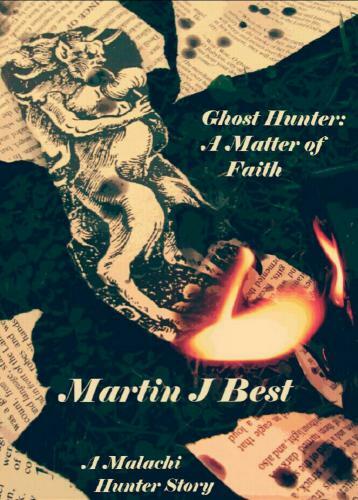 In the first Ghost Hunter novel, A Matter of Faith, Malachi Hunter has reluctantly benefitted from traumatic times. The death of his father has given him his own business; the departure of his mother, his own house. Whilst coming to terms with the situation, he is tracked down and befriended by a policeman he met once when on a paranormal investigation. DC Maunder has a problem: his sister and niece are at the epicentre of an aggressive haunting. Grateful for the diversion, Malachi agrees to help, and finds himself involved in a potentially lethal struggle with a supernatural entity that he couldn't have anticipated. His resolve will be taxed to the extreme as he defends his friend, his family, and the newfound love of his life.